I think God was showing me the beauty of his works. Im am so thankful! 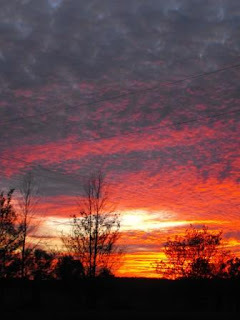 Last night we had some of these..
Beautiful sunset pictures and what a great way to spend Thanksgiving. I could handle that! Happy Thanksgiving! I hope that your day was overflowing with blessings, laughter, and wonderful moments. How wonderful to be surrounded by such natural beauty and family! I couldn't think of a better way to spend Thanksgiving *smiles* Have a wonderfully blessed weekend! Our family does that type of holiday sometimes too - camphouse in the country. 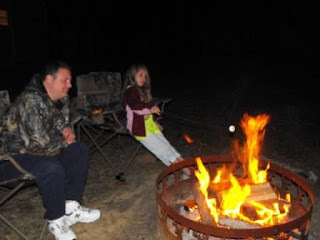 You can't beat s'mores under the stars! What a wonderful Thanksgiving you guys had! So glad you got to make fun and special memories together! Sounds like some beautiful Thanksgiving memories were made!!! wow! that is beautiful! Your phrase "no pictures, just memories" really touched me. I think some times I get so caught up in taking photos that I forget to acutally be part of the memory! I hope your family had a wonderful time!! It just wasn't "meant to be" in the photo realm. Maybe it was "private family time" only! Sometimes we have to do that. A very Happy Thanksgiving from our house to your all's! That sunset was beautiful! And I love me some s'mores! Looks like a perfect way to spend time together!!! 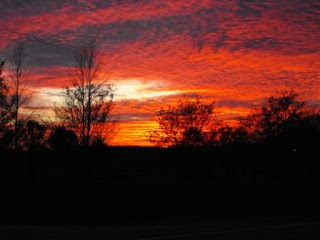 What a gorgous sunset and I am glad you had a nice one. What a great way to spend Thanksgiving. 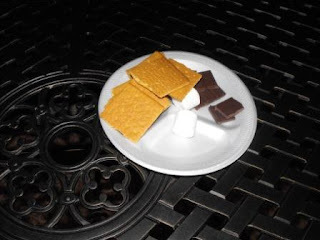 Oh...s'mores for TG...yum!!! Thanks for stopping by my blog and leaving such a sweet comment on my first blog post. I always enjoy reading your posts - you have been such an inspiration to me as I am learning how to decorate my new home. Keep up the great work!